At GIS, we are a family company. We know the happiest truck drivers are the ones who enjoy a healthy work-life balance. GIS encourages you to work hard, but also to spend time with your family, on your own schedule. At GIS, we do more to invest in you. We cannot offer the best in transportation without hardworking, dedicated drivers; you move our business forward. We are dedicated to your success and have our executives spend time riding alongside our drivers to gain a front-line view of their work. This gives us a unique perspective so we can better understand what our drivers need to be successful. 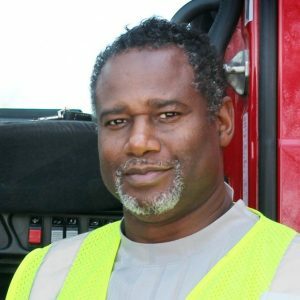 "I’ve been driving for over 30 years, and I’ve been with GIS for the last 16 of those years. 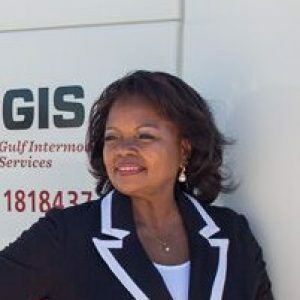 I’ve pulled containers for other companies before – and GIS works for me for where I live. They get me home for the weekend, and I like that a lot." "I’ve been with GIS a little over 5 years now, and I love my job. The people are great to work with. It’s like one big family." "When you own your own truck, it’s your destiny as to how much money you make each week. This is more than a job for me; this is a professional career." "I’ve been a driver since I was in my early 20’s. However, this job with GIS is the first time I’ve been an owner operator. The people here are great to work with, and the fuel discounts are valuable too. I get to be home a lot, which I like – especially because I get to spend time with my wife, my children and grandchildren." At GIS, we value our drivers. We understand that our drivers are the DRIVING FACTOR that sets us apart from our competition. We hire the best drivers in the country who are dedicated to safety, on-time service and professionalism. We’ve recently increased driver pay to offer some of the most competitive pay in the industry! We also offer a comprehensive safety bonus program paying drivers up to an additional 10% of their drayage earnings. We provide discounted fuel options with your fuel card which generates a savings up to $0.40 per gallon off retail, or more! 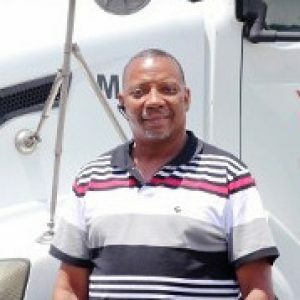 Our company drivers receive award winning benefits, 401(k) and Flex Spending. We have a dedicated team to support our drivers. You can count on dispatch to be there when you need them most. The team is always looking for ways to help our drivers get more miles and earn a good paycheck. Our Dispatch team is on duty 24/7 and here to help schedule the drivers based on their preferences. We believe the drivers’ success is our success and a happy driver is always our goal. 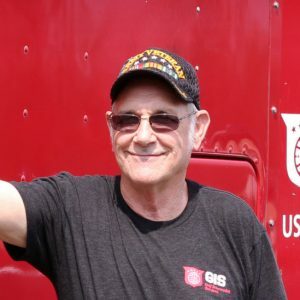 At GIS, we have drivers who were willing to carry the load and bet on a growing organization that now has more than three decades of success. Our drivers enjoy the flexibility and the ability to be home daily with their families. We are dedicated to the success of our drivers. GIS has invested in state-of-the-art technology for our trucks. We provide a tablet based mobile communication system to each driver to help you manage your paperwork easily and connect with our dispatch system 24/7. We use the data to drive efficiencies - to estimate delivery times, measure driver dwell times so if a driver has to wait, we can accurately pay detention time. We can optimize our fleet ensuring each driver maximizes his earnings potential. Your safety matters to us, and we value safe drivers. There are opportunities to receive safety bonuses. Company drivers drive new, updated trucks with automatic transmissions and accident mitigation systems. The newest fleet of Mack trucks have a great reputation for safety! Company trucks are all new models less than two years old. At GIS, you know you will be driving the best trucks in the industry. You too can enjoy the benefits of driving for GIS. Send us your contact information or apply now.